The Veterans Benefit Administration (VBA), a branch of the U.S. Department of Veterans Affairs, offers health, financial and welfare benefits to veterans and their families. The VBA, however, was finding that many family members were not aware that these benefits were available to them once their loved one had passed away. As a result, VBA enlisted broadcast PR firm Lyons PR to help inform and educate veteran family members and the general public about the benefits offered to veterans’ families after their loved one was gone. Prior successful campaigns, which were approved and endorsed by Congress, showed VBA that broadcast outreach was the best means to reach their key audience. In order to continue this wide coverage, VBA and Lyons PR devised a two prong broadcast media strategy: 1) reach national audiences to inform the general public about survivor benefits and the function of VBA and 2) touch targeted audiences in veteran-heavy markets to reach those who would benefit directly from the survivor benefits being discussed. 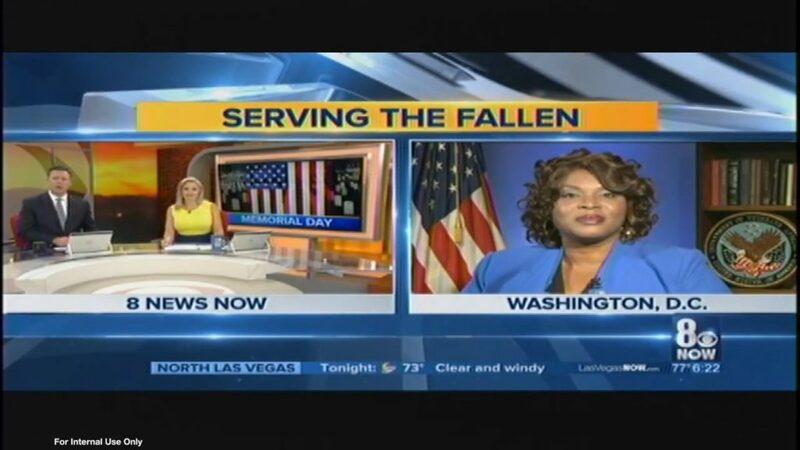 We conducted the Satellite Media Tour just prior to Memorial Day, a natural fit for the story in the media landscape leading up to a day in which Americans stop to commemorate those who served the nation. The results of the effort were an unprecedented success. From the National Press Club in Washington, DC, Dr. Rawls was able to connect directly with their intended audience. With a set to reflect the patriotic tone of the SMT, Dr. Rawls spoke to 25 broadcast stations throughout the country including four national outlets, two regional and multiple local network affiliates including stations in Pennsylvania, Texas and Ohio – three states with the highest veteran population.